We visited Shishu Vihar Hyderabad for giving the diaper packets. The process of finding the place where the diapers could be given, reaching out to Shishu Vihar, the actual visit led to a number of thoughts and questions. I searched the CARA website for answers and it led to even more questions. 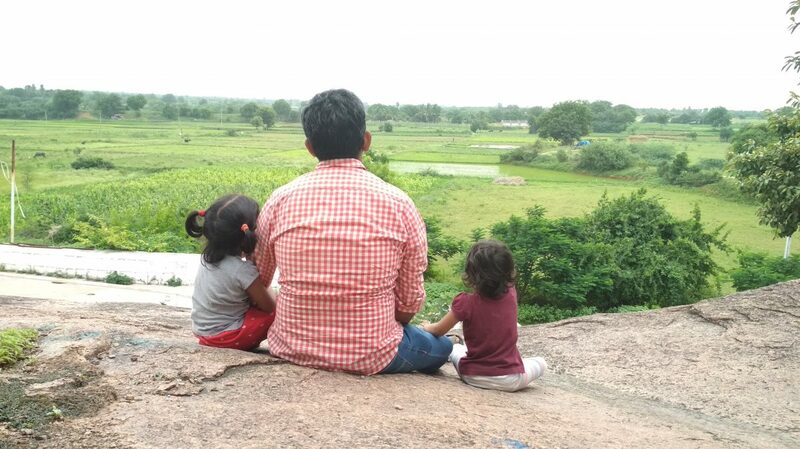 Even though the subject matter does not directly relate to O +ve and B +ve, I am writing down these unanswered questions in the blog – after all, it does relate to children, the future of our country, in the same manner as O +ve and B +ve. Who are the children in the orphanages? I google searched for orphanages in Hyderabad and the first search result was from Justdial. There are 235+ orphanages listed in Justdial. I called up more than 20 orphanages to enquire if they had children in the age group for which we had the diaper packs. All the answers were negative and a couple of them told that the government does not allow children below 6 years to be placed in private orphanages and that they could be found only in Shishu Vihar, the government orphanage. The question is if none of these 235+ orphanages is allowed to keep children below 6 years, then from where are they getting the children above 6 years? Shishu Vihar Hyderabad has 250 children in the age group of 1 to 6 years, roughly 50 children in the bracket of one year. Now, suddenly what happens that the number of orphans rises so high that there are 235 orphanages in the same city? That too, orphaned at the age greater than 6 years. The most plausible answer would be semi-orphaned, surrendered or abandoned children. The bigger question is why would this happen? What would be happening to their parents that the children are sent to the orphanages? What would be happening to these children who find themselves in orphanages suddenly? Does the society know that the number of orphaned children sky-rockets after 6 years? Why are the children present in Shishu Vihar? The CARA website has a statement “presently there are more parents in the waiting, but fewer children available for adoption. Therefore, it is difficult to ascertain the time period to adopt a child“. The statement sounds logical and does not require any explanation. Though what does require an explanation is if there are fewer children available for adoption than the waiting parents, what are 250 children in the age group of 1-6 years doing in Shishu Vihar? Surely, all these cannot be the cases of special needs children for whom it is difficult to find adoptive parents? And for sure, there would be adoptive parents who will be willing to adopt special needs children as well. If there are more parents in the waiting, why is Shishu Vihar not empty? Why is adoption reducing in India? Below is the snap-shot from the CARA website for adoptions in the country since 2011. From the high of 5500+ adoptions, it has touched the lows of 3011 and settling to 3200 for the last 2 years. Whereas, the inter-country adoption has reached back the same numbers 7-8 years before. Why are the adoptions reducing in the country? This is something that needs research and corrective action – behavioural/sociological/ adoption procedure related / any other matter. Last 3 years, the adoptions have been below 4000, the entire country put together. Hyderabad has 235 orphanages. Shishu Vihar Hyderabad has 250 children in the age group of 1-6 years. Is adoption the only way? The adoption is the best way for the care and the rehabilitation of the orphan children in their best interest. Given that we have so many orphanages and the children in the Shishu Vihar itself, what do we do? There has to be some way to assimilate these children with the society apart from the adoption. Are there that exists? What can they be? I had spoken to the state department of women and child development about giving material to the Shishu Vihar. The person spoke arrogantly that the government buys only first-hand stuff for the Shishu Vihar children and they do not accept any used material. This is fine. Now, can the government make the same statement about the children in the 235 orphanages of Hyderabad? Is the government not liable for all the children apart from Shishu Vihar children? A developed society has to be devoid of an institution called orphanage. A developed society knows how to take care of the children – including the orphans. The current status of affairs of CARA, Shishu Bhavan and the number of 235 orphanages in a single city does not inspire confidence for the future generation of India. What can be done? Who is going to do it? Sent a chill down my spine! Do you think RTI can be used to get more information? I will surely explore this option. Thank you for the suggestion.